Explore the state of education today, and discover the steps that policymakers, administrators, and teachers must take to transform schools. Explore the state of education today. 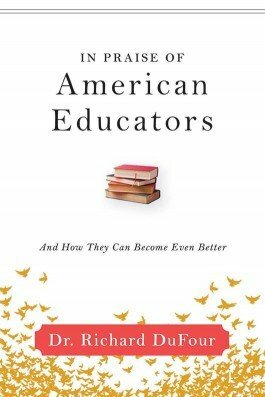 In this thought-provoking book, the author presents a compelling case for why contemporary American educators are the greatest generation in history. 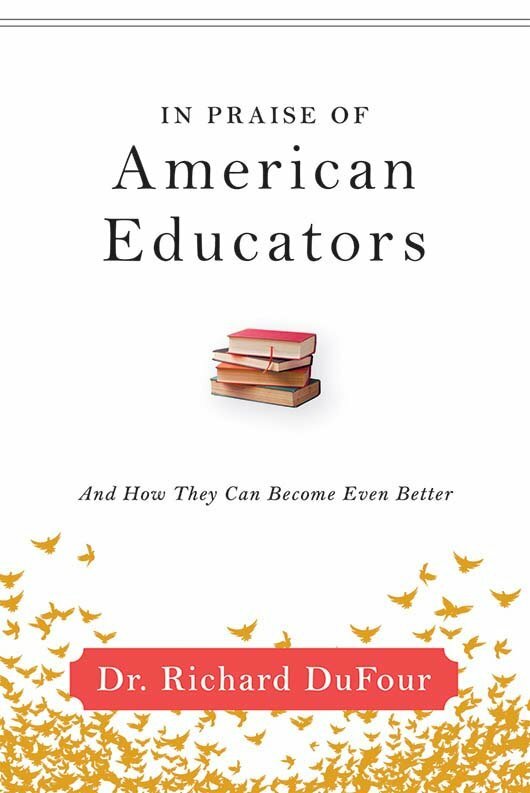 He carefully explains why current national reform policies have failed and presents specific steps policymakers, administrators, and teachers must take to transform American schools to meet student needs in the 21st century. Help us support Dr. DuFour and the fight against cancer! For every copy of In Praise of American Educators purchased, Solution Tree will donate $1 to cancer research. Critique the commonly presented media messages about schooling in America. Consider the evidence for why the present generation of American educators has accomplished more than previous generations. Evaluate the assumptions driving policies set up to improve schooling. Discover the four essential pillars of the PLC foundation. Learn the essential elements of the PLC process and common mistakes in implementing that process. This was an awesome book. It is a must read. I am so thankful to have someone like Rick to be so authentic in his writing. Every person that has anything to do with education should purchase this book and read the entire the contents. Administrators in schools should purchase it and have their PLCs read it as a book study. I believe it will change the lives of how they teach children for the good. As an American educator I would encourage each person to purchase this and read this book. You will understand the title much better as to why Rick choose the title when you read the entire book. It was very well fitting. I am neither an educator or politician. However, I am an elementary school volunteer and have grown children and grandchildren. Dr. DuFour's vast experience and deep analysis are reflected in this comprehensive work. He begins with the public's mis-understanding of America's current elementary education condition, educators therein, and external influences leading to this mis-understanding. Dr. DuFour doesn't rest on defending aspects of America's public education, he offers concrete steps to make our schools the best they can be. His opinions are not empty rhetoric, but well-documented, tried and tested. Every school system should read this book and create an action plan from it. This was a great read. I am encouraging my teachers to pick this book up and have even offered to purchase it for them if they commit to read it as a team.